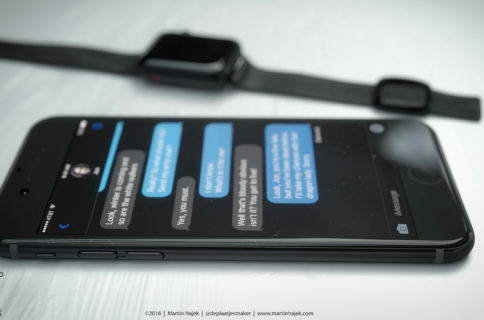 If you can’t get enough of Space Black/Deep Blue iPhone colorways, we’ve got you covered with some nice looking photos of alleged iPhone 7 Pro units in Apple Watch-style Space Black finish that’s supposed to replace the current Space Gray option. 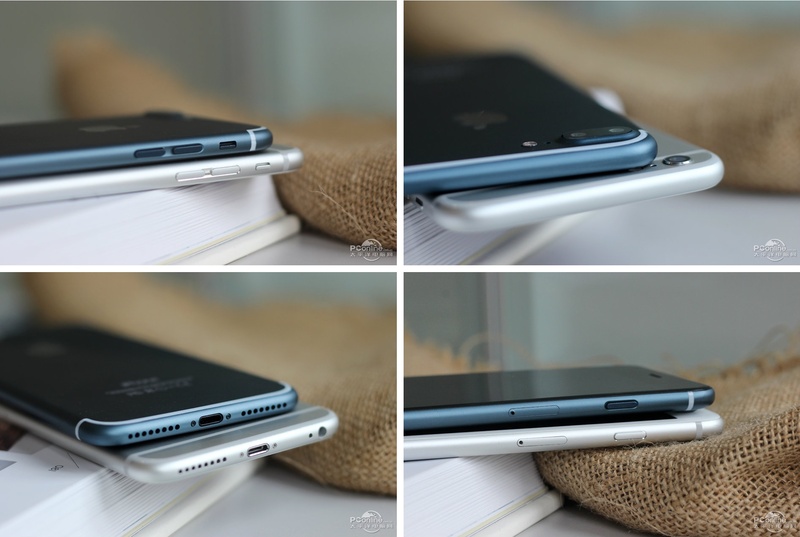 Plus, we have a bunch of crisp shots of a working iPhone 7 Pro prototype in Deep Blue. Feast your eyes on the photos and let us know your thoughts in the comments. As you can see below, the images purportedly show a rumored iPhone 7 Pro model sporting three pins on the backside, presumably for a Smart Connector. We can clearly see curved appearance of the dual-camera system on the back, along with cleaner antenna lines and a SIM tray on the side (so no e-SIM for the next iPhone). 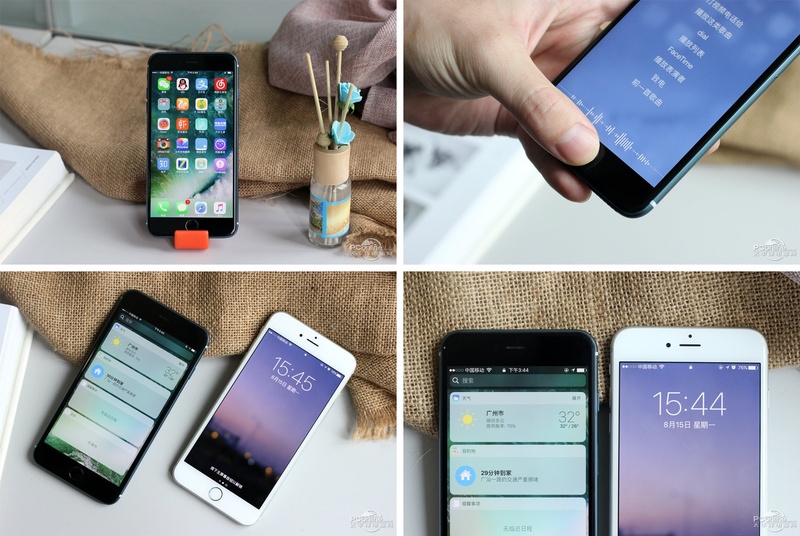 The Home button seems to sit flush with the front face, yet another indication that the iPhone 7 may come with a non-moving Home button outfitted with pressure sensors and haptic feedback to simulate clicks. The images you see below were sent to Chinese site PCOnline.com.cn by an unknown source. The pictured unit is apparently an engineering prototype, running iOS 10. A few images show the device running Apple’s internal testing software, called SwitchBoard. 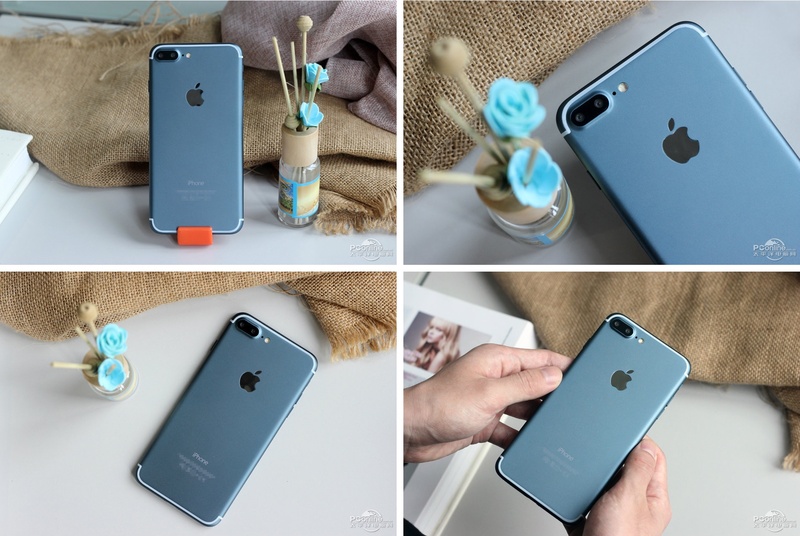 Aside from a nice-looking blueish hue, the device’s backside sports dual cameras, in line with previous rumors, along with legitimate-looking iPhone branding. 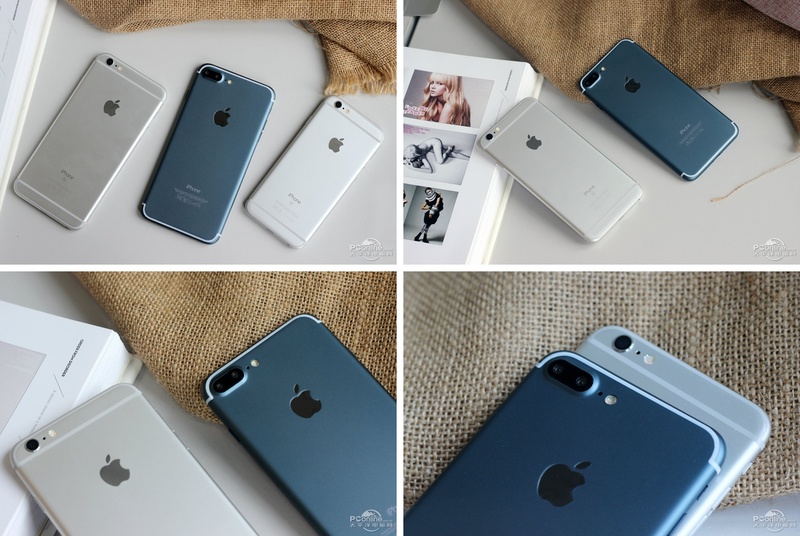 Whether or not the device on these crisp photographs is a regular 5.5-inch iPhone 7 Plus model or its rumored “Pro” counterpart is anyone’s guess, but one rumor said Apple had abandoned Deep Blue in favor of a more subdued Space Black finish. All I know is I want one of those blue babies! Yesterday, Dutch blog TechTastic.nl posted high-quality photos of iPhone 7 casings in Space Black that you can see right below. Japanese blog Mac Otakara was first to report earlier in the summer that the iPhone 7 might come in a new Deep Blue colorway, but the post was later amended to indicate that the hue is actually more akin to the stainless steel Apple Watch in Space Black, so there’s that. 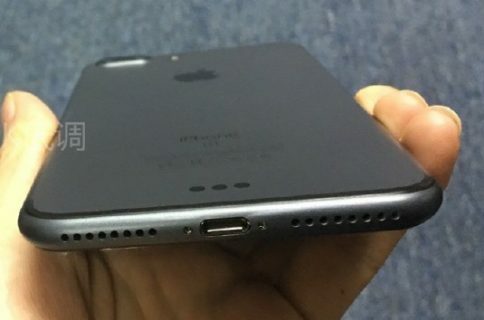 iPhone 7 to support fast-charge tech? Last but not least, earlier this morning The Malignant posted a sketchy image suggesting that the iPhone 7 may use a special circuitry to support “at least” 5-volt, 2-amp fast-charging. 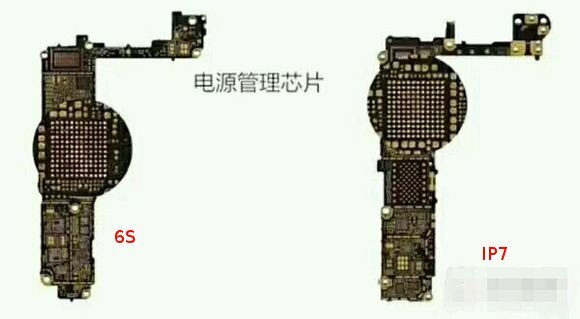 The image below is said to show an iPhone 6s logic board next to its iPhone 7 counterpart with a new circuitry to support fast-charge technology. September cannot come soon enough! With a little more than three weeks left until a rumored September 7 unveiling, small wonder we’re now seeing high-quality photographs of genuine-looking iPhone 7 parts. 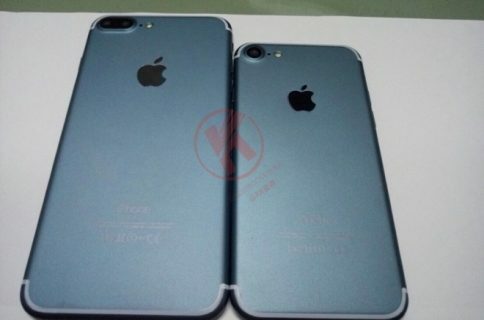 I’m eager to hear your thoughts on these rumored Space Black-like and Deep Blue colorways for the next iPhone. Would you pick one over another, and why?